TCS CBO Careers – Syllabus, Online Aptitude Test Pattern 2019. TCS is going to hire BBA, BMS, B.Com, BA, BBM, BCS, BAF, BBI, BFM candidates through TCS PAN India Online Aptitude Test 2019 on 6th January 2019. So, all the candidates can find the complete information about the TCS CBO Recruitment 2019, TCS CBO Syllabus and the latest TCS CBO Online Aptitude Test Pattern. Further, TCS is providing the Career Defining CBO Opportunities For 2019 Graduates. Thus, candidates need to utilize this opportunity to clear the test. Candidates who want to crack the TCS PAN India Online Assessment Test 2019, they should focus more on the TCS CBO Syllabus, Online Aptitude Test Pattern. 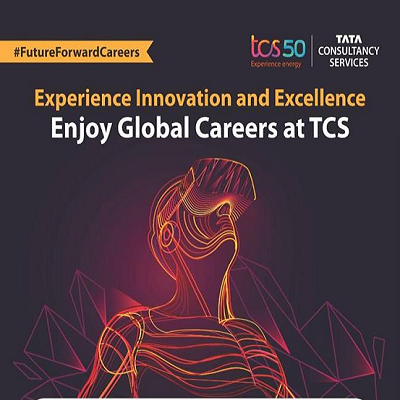 Through this TCS CBO Careers 2019 Batch Freshers Recruitment, TCS ensures job enrichment with a 2-year job rotation either through inter-function mobility, work across multiple domains or movement across locations (depending on availability of the project). For the sakes of the Arts and Commerce Graduates, we furnished the details. Job Location Interview date and location will be communicated to the candidates individually. A pioneer in the information technology industry, TCS’ Cognitive Business Operations (CBO) is the integration of Business Process Services, and IT Infrastructure Services to help enterprises re-imagine business operations leveraging digital including Cognitive technologies, Automation, IoT and Cloud while adopting Agile practices. Being an industry leader across technologies and service lines like the Finance and Accounting Operations, Cloud, Data Center, Infrastructure, Supply Chain Management, and Customer Experience, CBO provides an ideal launch pad for young minds to chart a career growth path in Artificial Intelligence, Cognitive and Digital technologies. Candidates should be comfortable working in rotational/night shifts. Only full-time graduates (with 15 years of regular education) are eligible – No undergraduates/correspondence courses. Candidates who have appeared for the TCS selection process in the last 6 months are not eligible. (Either selected-not-joined or rejected). Notify the detailed TCS CBO Selection Process 2019 from this section. Soon, after the Written Test, only the qualified candidates will have the Personal Interview session. NOTE: No, interviews will not be conducted on the day of the PAN India Online Aptitude Test. On clearing the test, details of the interview schedule will be sent to your registered email ID. Along with the TCS CBO Online Aptitude Test Pattern candidates should know the topics assigned for the PAN India Online Aptitude Test 2019. Below are the subject wise topics that should be revised before the test date. We hope the above provided information i.e. TCS CBO Careers, Syllabus and Test Pattern is helpful to you in your job search. All the best…!! !